More nasty out of the USA! The Kansas Legislature on Friday approved a bill that allows faith-based adoption agencies to turn away gay and lesbian couples based on religious beliefs, and the state’s governor said he would sign it. 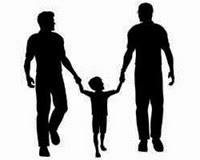 Under the measure, the Kansas Department for Children and Families cannot block any foster or adoption agency, including those that receive public funds, from participating in its programs only because it refuses to adopt or place children with gay people. Opponents of the bill said they will likely mount a legal challenge.